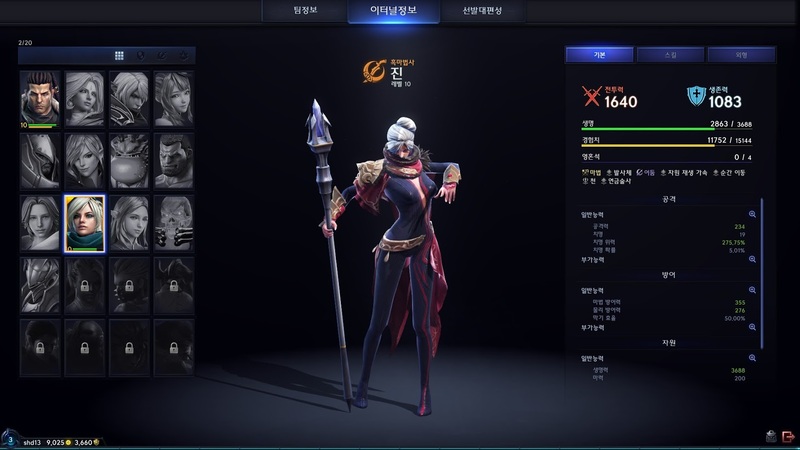 Part of a long-standing medieval fantasy series by South Korean video game developer and publisher NCsoft (Guild Wars & Guild Wars 2), Project TL (The Lineage) is the company’s upcoming flagship MMORPG, and is the direct sequel to their first Lineage MMORPG that launched back in 1998. 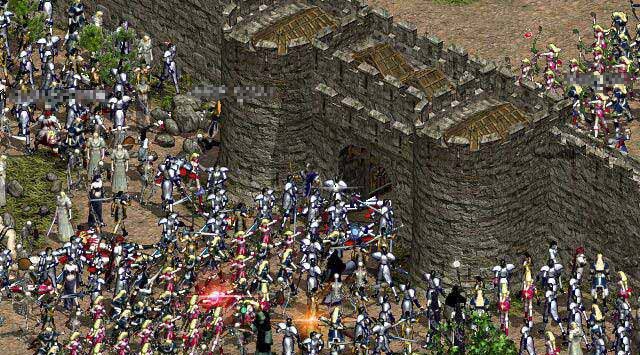 Which featured an overhead 2D isometric view much like the Diablo franchise, but had gameplay based around a ‘Castle Siege’ system that involved laying siege on settlements, to owning and taxing properties; aside from the usual RPG questing and such. 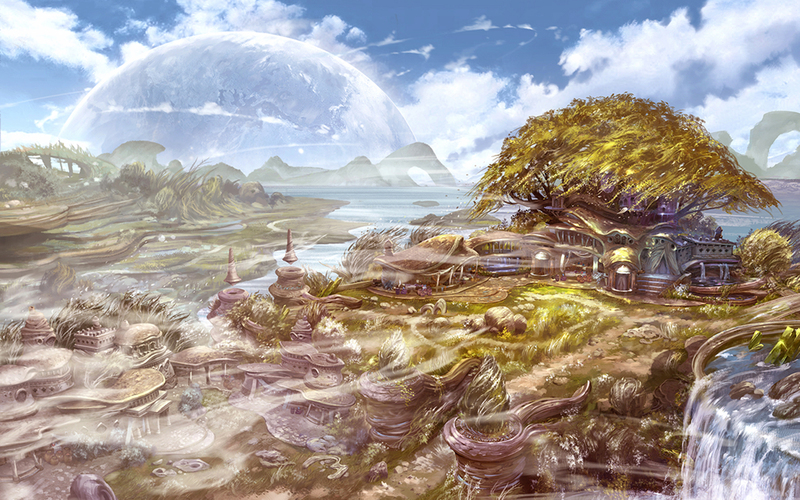 Project TL was originally known as Lineage Eternal when it was first announced in 2011. But was unfortunately met with a number of issues and delays throughout its development and closed Beta. 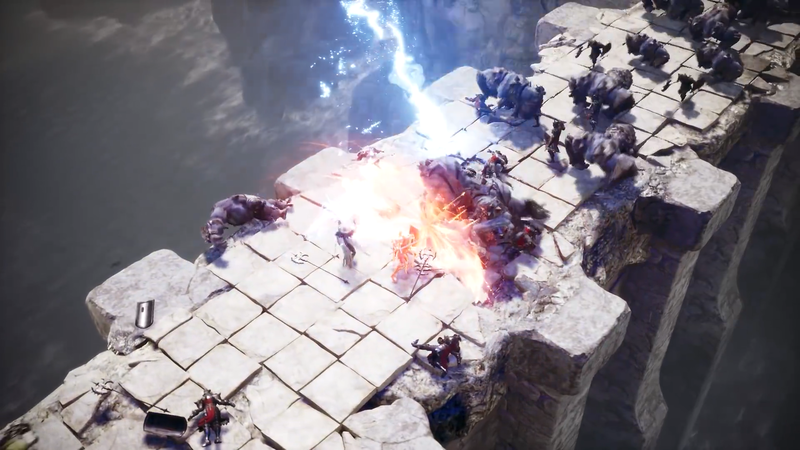 This prompted NCsoft to make significant changes for their sequel by assigning a new team as well as shifting away from the proprietary engine that Eternal was built on, and opted for the more powerful Unreal Engine 4. Thus rebooting the game’s entire development and re-branding it to its present title. Project TL is being developed for the PC platform as well as for Android and iOS devices with a yet to be announced release date. Other than the fact that Project TL being a sequel, not much has been revealed for its overbearing plot. The original Lineage was based on a series of comic books with the same name by Shin Il-sook, and it tells the tale of a righteous prince reclaiming his throne from the hands of a usurper. Early on in Lineage’s conception, the two mediums closely resembled one another, but gradually diverged as the game’ development progressed. 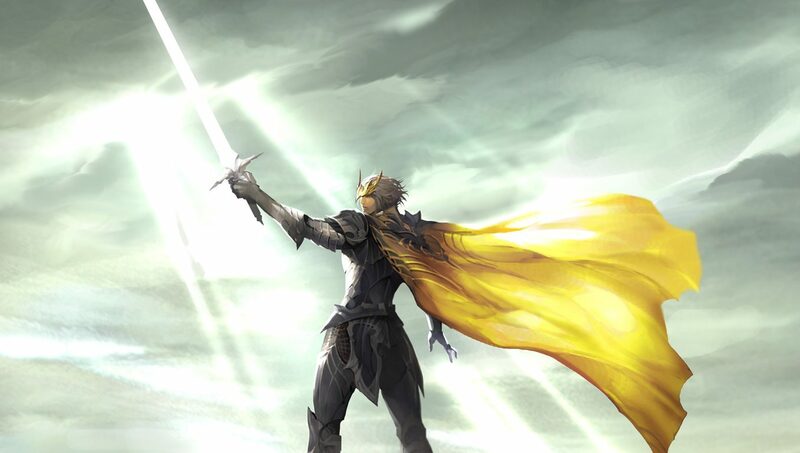 It’s prequel Lineage II, NCsoft’s MMORPG from 2003, is set 150 years prior to the events of Lineage. And recounts the series’ fictional history through a number of chapters/game updates called “Sagas”. Its stories portray the game’s version of Genesis and more, detailing the formation of its world that bore powerful forces which then splintered into Light and Dark; the gods Einhasad of light and Gran Kain of darkness, who marked the true beginning of their universe. Without giving too much away, the later chapters narrate the creation of lands and its residing species, which then formed the races known as Elves, Dwarves, Orcs and Humans. As well as the wars between the gods, the great natural disasters and their resulting aftermath. 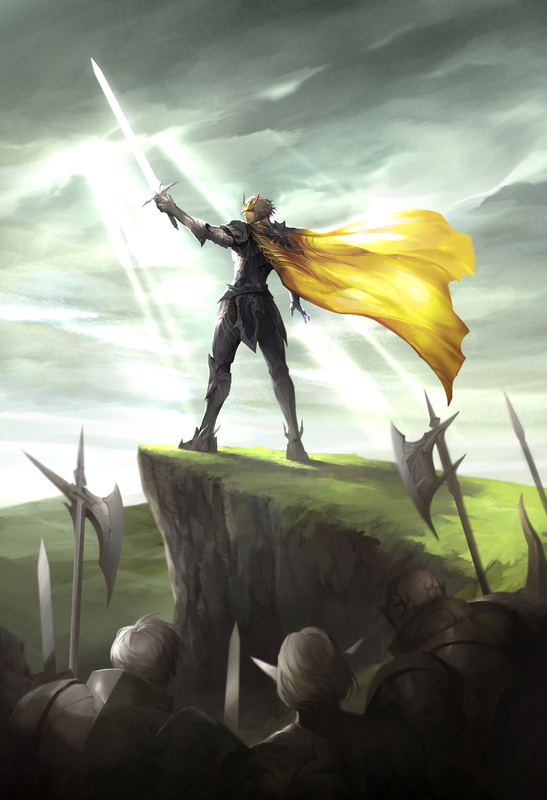 The entire historical lore of Lineage II is that of a short book and makes for a nice read. And gleaning from that should give you an idea of what Project TL‘s story might be like. Lineage Eternal’s class system was a little unusual in that players weren’t meant to play as a single customizable character, like in most MMORPGs, but instead controlled a ‘Squad’ with 4 heroes of varying classes and races. Leading the party and switching among the 4 throughout the game. But since its reboot, Project TL has done away with that system and will feature 5 playable classes to choose from, which players can also customize. Some of the races in the game are classes themselves and each has its own unique set of abilities to compliment a variety of play-styles. We have the sword and shield wielding Knight, a Bruiser/Tank type class with a ‘Charge’ ability that can stun enemies upon impact. An AoE ‘Downward Slam’ and a ‘Grappling Chain’ that can interact with objects in the surrounding environment, such as yanking down a pillar on a crowd. As well as a ‘Charged’ sword skill and a ‘Front-facing Barrier’. This combination of skillsets can make for an aggressive offense or defense. Then we have a Sorcerer type class, that won’t be complete without a complimentary AoE spell attack. And interestingly, there’s also a ‘Blink/Teleport’ ability for circumventing obstacles and closing distances. In fact, all of the classes appear to have a ‘Dash’ move of sorts, making the already fast-paced action even more frantic/stylish. Then there are the Elemental-based attacks, and from what was showcased, we get to see a powerful fire-based ‘Burst’ ability and an ice-based ‘Freeze’ skill that seems to interact with water, which then shatters. And as for the three other classes, not a lot has been revealed about them. But from the movie trailer that you can check out above, we’re shown an Elf Ranger type class unleashing ‘Single’ and ‘Multi’ shot attacks, and on horse back too (which could mean mounts in the game). And then there are the glimpses of the Dark Elf class that specializes in close quarters combat and the Prince/Princess type class with the ability to create ‘Clans’. 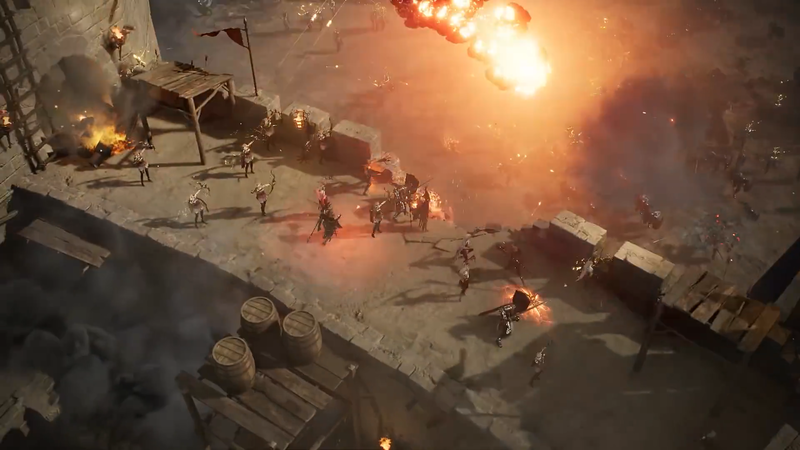 As mentioned earlier, combat in Project TL will be fast-paced and frantic with a Diablo-style gameplay of mowing down hordes of enemies such as orcs. Like in the first installment, the game will also feature castle sieges with the Prince/Princess class playing a significant role in deciding the winner. The original engine that Eternal was being developed on was the very same in-house engine used in the Guild Wars games, another brand of MMO, which NCsoft has helped publish. 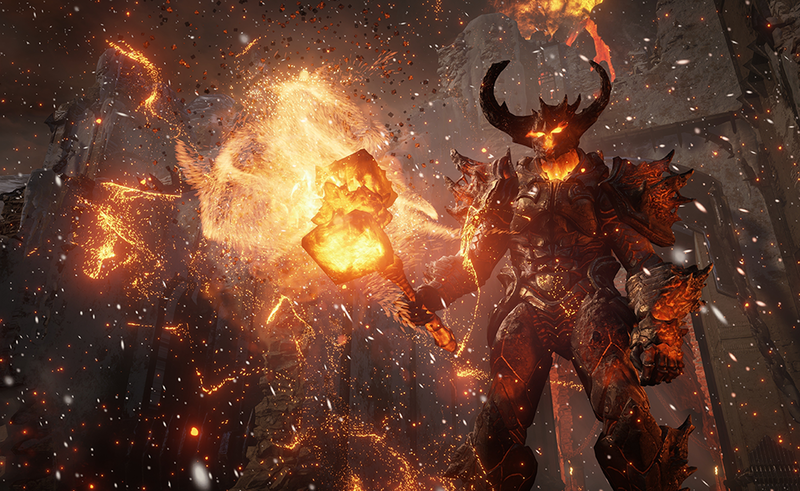 The decision to utilize the Unreal Engine 4 was driven by a need for better and more realistic visuals, and along with it, physics-based destruction and the all-so pretty particle effects UE4 is known for. At present, there is not a lot of information to along with Project TL and its development cycle is still in the early stages as the reboot was fairly recent. So, many things could change by the time its out. But, it is interesting to see an MMORPG implement the frantic Diablo-style of gameplay. Throwing in the physics based environment, then you have yourself a dynamic playground for this type of overhead view game. Therefore, if you’re a fan of games like Diablo or Torchlight, be sure to keep an eye on this. You can check out more Preview Articles here. I quite like what NC Soft makes so I’m very curious as to where this goes. MMO Diablo sounds like a lot of fun, I’ve been dreaming that Blizzard would some day make it. I kind of see Destiny 1 as "MMO Diablo" but as an FPS with light RPG elements. I think someone could do a Diablo MMO well, I’ll watch this. I’m really curious to see where this project goes. It looks right up my alley, I just wish there was more info! but an NC soft game is sadly synonymous with grinding to oblivion…which is a deal breaker for any human being with half a life in my book. Well, end game Diablo is pretty much "grind until your eyes bleed" anyways, so it’s kind of within expectation lol. which is why I played it once, finished it with the sorceress (in a strikingly short amount of time too) and never played it again after this…could not be bothered. Yeah, I usually go play it for a while, get bored, and go do something else. Recently, after I got a full set on my necromancer and had fun clearing T13, I got bored running Rifts. Sadly, endgame is really boring. Yeah I can’t really say it isn’t fun, cuz I still go back every so often when the mood is right. I just can’t do seasons, or keep grinding hoping for that 1/1000 chance of a primal ancient, let alone one with good rolls. I hope NCSoft can do something fun and unique. The gaming industry really needs a breath of fresh air. All we’re playing right now is "insert game franchise name here" II or III or IV. Where is all the new stuff?